Where in the World is Tunde? Sightings since last fall had Tunde in Sylvania, Ohio for AFRICAS: Contemporary Work from the Continent at the Hudson Gallery, which ran from October 5 – November 2, 2013. The group show featured more than 60 works of contemporary art by artists from Africa, the largest showcase to date of contemporary African artwork in Northwest Ohio. Artists included Fred Mutebi, Jak Katarikawe, Sane Wadu, Rosemary Karuga, Ibou Ndoye, Tayo Denaike, and Stanley Agbontaen. Tunde delivered the artist talk at the show’s opening reception on October 5. The show received an extensive feature article in the Toledo Blade. After spending the year-end holidays at home in Ibadan, Nigeria, Tunde was back in the States by late January, 2014 — in Washington, D.C. for a series of master artist workshops on the art of batik, the intricate process of decorating cloth with wax and dye. 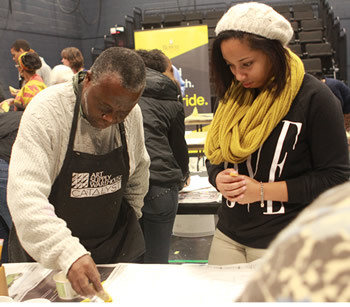 The Smithsonian National Museum of African Art partnered with the Bowie State University Department of Fine and Performing Arts to host the series, which took place in the Fine and Performing Arts Center’s BlackBox Theater. 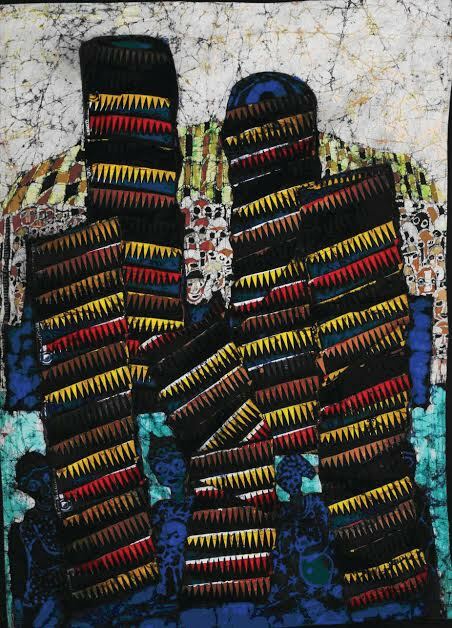 Despite his prolific work in many other media, batik is the medium for which Tunde is primarily known. 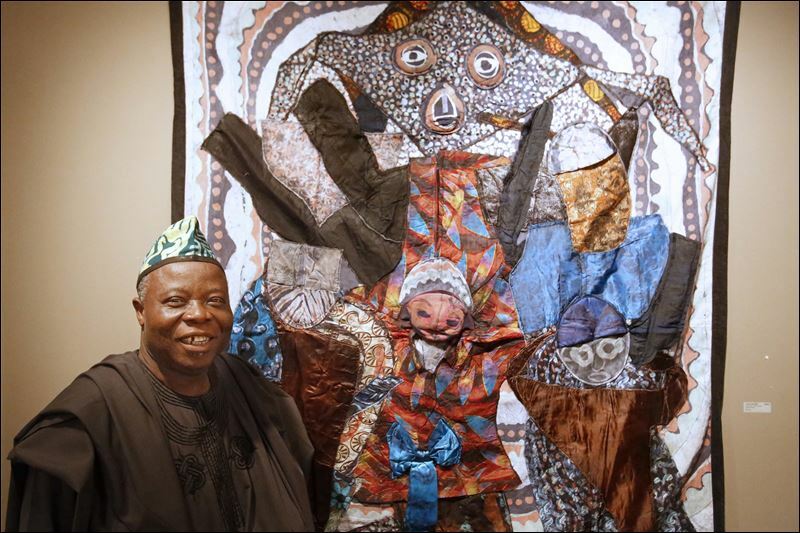 On Thursday, February 20, 2014 the artist commonly known as Tunde was seen at City Lights Gallery in Bridgeport, Connecticut, for the opening of COMMON THREADS, a group show which featured African, Afro-Caribbean, Afro-Latino, and African American artists whose work is made from or about fabric. Tunde’s large batik quilts were featured along with those of Gees Bend Quilters Mary Lee Bendolph and Loretta Pettway Bennett; paintings on silk by Connecticut artist Imna Arroyo; mixed media paintings by Kenyan Kofi Ayisi; weaving by Venezuelan Ruben Marroquin; and more. COMMON THREADS ran at City Lights through March 28.
best blogs on the internet. I will suggest this web site!